And yet, we’re the same guys that trash talked Kalonzo Musyoka for profiling a journalist on tribal grounds. Truth be told, we are not very different from Kalonzo. The question we should all ask ourselves before and after reading an opinion piece or listening to a government statement is: Am I already biased in my current political views or is the statement/opinion biased? Or as one drunkard would ask another: Am I blind or did someone turn off the lights? If you survived the Kenyan education system, and by the aligning of a little known planet to the moon, found yourself some enslaving white-collar 9 to 5 thing, you are a hero. You will agree (now), that school wasn’t the difficult part. The goddamn-what-the-hell-kick-a-dying-cat part, was trying to get employed. In spite of all your qualifications, skills, abilities and unnecessary hobbies, one thing or the other had you walking into a slamming door. Maybe it was that politician’s son who got the job despite the fact that he didn’t even attend the interview. Or the fact that your father is, well.., a nobody. And we don’t exactly get to pick dads, or steer their ambitions. But beyond the corruption and nepotism are other interesting factors that we never take into account, say when a company proudly states that they are an “equal opportunity employer.” To me, that simply means that they have separate toilets for men and women. Pretty cool. Or companies that prefer to hire married folks: Yeah, this is a very serious man/woman. This settling down thing requires one to buy diapers and pay school fees. Yup let’s give this guy the job! Single folks are not as serious as married folks. There’s an old lady I knew who ran a toy store in the city. She could never keep an employee for 6 months and yet, whenever she asked for referrals, she would say “make sure the girl is not too smart.” According too her, smart employees make good thieves. She eventually closed down her business. I can’t imagine why. Or my friend who owns a bar and prefers to hire single women because 1. their hips keep the men entertained 2. if they had to steal drinks, they can’t possibly milk the bar dry 3. the fact that they are single guarantees that there is no man somewhere complaining about his wife working all night or coming home late. As fate would have it: Single women can stay up all night and entertain men. No problem there. 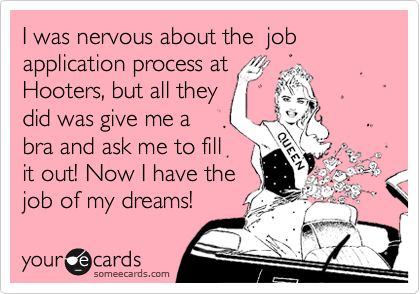 But we may go ahead and berate those employers when we ourselves have our biased employee qualification checklist. Don’t many women agree that ugly, single-mothers, from church-mice backgrounds, make the best house-helps? NOTE: At this point by the way, if this single-mom thing sounds like a plan, by all means get knocked-up and ditch the guy. You never know. Career advisers often tell us how best to design our résumés and what not to wear to an interview – in essence, they’ll fit us into a little box we should hardly think outside of. While basic standards are important, we often forget that interviewers and employers are human and human beings will tend to be biased. For instance, which house-girl thinks of herself as ugly? Or who goes to school hoping to come out dumb and therefore deemed as “honest.” Personally, I once got a well-paying desk job simply because I helped my parents around the farm when I was younger. My employer wasn’t interested in my spruced up CV. All in all, what does that say about job creation in our country? If we citizens are not exactly sure what works and what doesn’t and we have our own unprintable rules of what should, does the the government know exactly how to solve the youth unemployment problem in this country? And can we please stop telling kids that “ukisoma utapata kazi nzuri sana.” We all know that it doesn’t quite work that way. Can’t we instead link education to gaining common sense and building character rather than it being a lousy ticket to employment? PS: I’m a big fan of Diego Buñuel‘s Nat Geo adventure show Don’t Tell My Mother. During his trip to Lahore, Pakistan, the (oh, so tall and handsome *fans self*) Diego encountered an entrepreneur who owns a chain of salons dedicated at employing girls who have suffered acid attacks leaving their faces completely disfigured – the acid having been thrown at them by their boyfriends, fathers or brothers. Some of these girls, having no prior hairdressing skills, are first treated and then trained by their employer, only to spend the rest of their lives behind a mirror (why, oh why?) making customers look beautiful. Sigh.., life. Last night, as with all nights, I was tuned to BBC radio. There was a feature on Cyberbullying spurred by the suicide of a 15-year old girl from Canada. It was a tragic story given that only five weeks ago, the girl had “uploaded a video to YouTube describing years of bullying that she said drove her to drugs and alcohol.” Her cry for help was misjudged as a pathetic search for attention. Clearly, no one bothered: The bullying continued and she eventually took her own life. I pondered on the story while listening to various experts views on why cyberbullying occurs and what can be done to prevent it. While their views were insightful, I found it disconcerting that they seemed to focus on Cyberbullying among children. 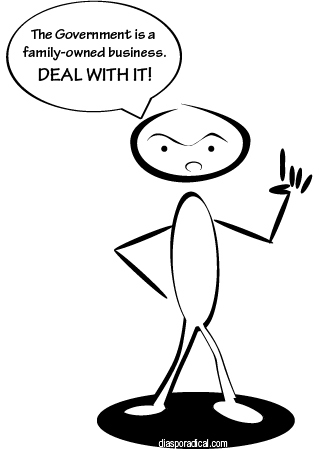 Those who have been using social media for quite a while know very well that Cyberbullying is a reality among adults. As the number of social media users in Kenya increases, certain issues arise regarding the use of various sites. Concerns have been raised over Hate Speech, Incitement as well as Ethnic and Religious Targeting. But few of us are talking about Cyberbullying. Experts say anytime you are harassed, humiliated or threatened online it’s cyberbullying. As the country’s SM user crowd grows there are those who seek to stand out and make a name for themselves whichever way they can. Some, more so the tech savvy, will result to Cyberbullying. Where Are The Songs For Our Coming Revolution? I wince with displeasure every time I have to watch another section of Kenyans demonstrate on the streets of our major towns. Not because I do not support their cause or understand their plight. Far from it. My displeasure comes from the fact that I have to listen once again to a song which should have by now, been stored away in the cliche cabinet. On and on it goes. First with the teachers, then with the doctors, enter the nurses and right behind them another group of civil servants. Even University students, disgruntled private sector staff and politicians flaunting alliances, find reason to sing Solidarity – a song once thought to be the reserve of labour Unions. The songs we can sing not just on the streets but in in our homes when we look at our unga reserves dwindle. The songs we can sing while we do our laundry and ponder on the next move that will keep us alive? Where are the songs that annoy our government so much, it wouldn’t want them played on radio? Why do we instead sing songs to mock other tribes? Songs that insult their cultural beliefs and their very identity. Why do we compose songs that highlight our tribal differences and inspire ethnic hate? And not the songs we sing in church. Not the praise songs whose tune we maintain and lump new words on in a poor attempt at creativity. Not the songs from that holy place. Let’s keep those for God, and upon our victory, we can praise him without getting the words mixed up. Where are the songs that will wake us up to the reality of our current situation? The songs that will carry in one chorus, the ills of our current political class, the shame of our slowly growing economy and the silence of a lower class, whose lips are caked with the dust and odour of our slums. Where are the songs that will enlighten our educated middle-class? Songs that will challenge their pursuit of luxuries as mere vanity. Songs that they can teach their children, while narrating in pride and not shame, where they have come from and where they should never return. Songs that will summarize all the clever words that make our placards so heavy. Where are the beautiful songs we can sing together? Songs that won’t pit one tribe against the other? Or the rich against the poor. The songs we can sing in groups while we go about our work under the sun? Where are the songs that will bring us to tears, or jolt our fists upright. The songs that will make us rise up and defend our dignity while we thump our chest in a show of might. The songs that will bring us to shout IYAA!! 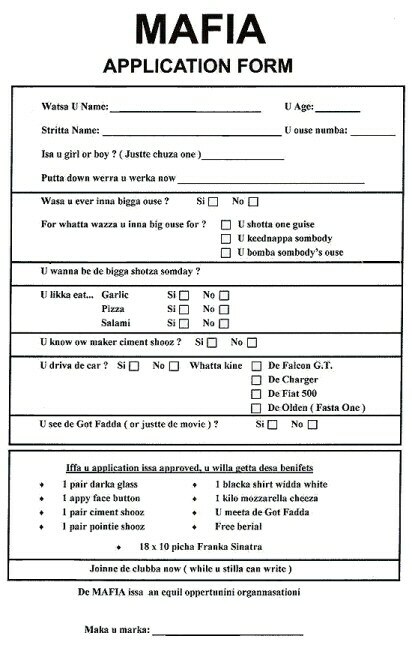 or OYEE!! like we do at every rugby tournament our countrymen take part in. Our National Anthem will not do. It isn’t enough. We can do better. It is not a lack of talent. There are those who have tried to compose such songs, but few can recite ALL the words to Eric Wanaina’s Nchi Ya Kitu Kidogo or Kenya Only. Jaguar may have tried to explain our complex situation in sheng, but Kigeugeu is nothing but a club hit to the majority of us. Even with the political freedoms we now enjoy, the freedoms of speech and self expression that are now upheld unlike they were in the former regime, few are the artistes who will pen down songs that inspire unity, peace or change. Who will compose the songs for our coming revolution? And not just any songs. Songs that are easy to grasp. Simple songs. Songs that everybody can sing. And when those songs come to be, who will put them all together and teach us so that we may in turn, teach our children. Songs of our coming revolution. Now.., if Ferdinand Waititu slept in his bed last night, and not in a police cell, there’s something wrong with our police force. Far as any blind person could hear, disHonourable Waitutu’s remarks yesterday should be deemed as incitement to ethnic hatred. 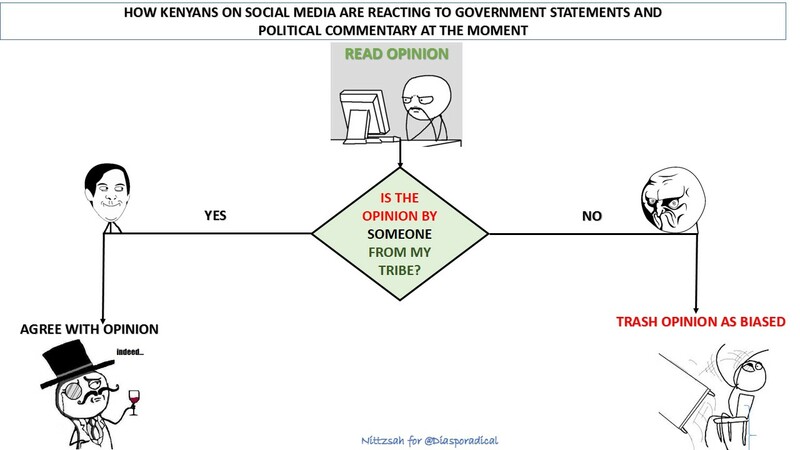 If anyone should argue otherwise, then please explain why the public reacted as they did – targeting their perceived anger stupidity at the Maasai community living in Kayole. Perhaps the police standing next to the MP are both blind and deaf. Or like their seniors, they are afraid of going to the Hague. Perhaps, like his seniors Kayole’s OCPD is waiting for a cabinet directive to do his job. 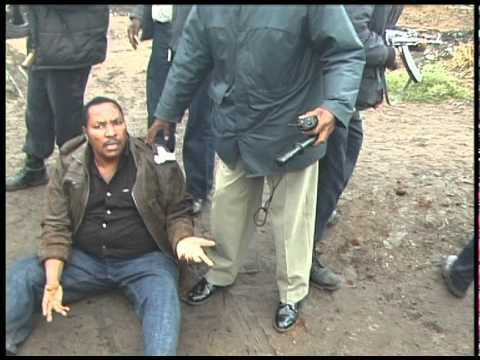 If a cabinet directive is not forthcoming, well then Mr Waititu may sleep in his warm bed tonight. Now that Waititu was caught on camera saying Maasai’s be flushed out of Kayole, or that unspecified area of Kayole, would it be wrong for the Maasai in say Kajiado, to flush out other communities living there, if only to avenge the humiliation and ethnic targeting their brothers underwent yesterday in Kayole? If that were the case, would the police move in to deal with the situation in Kajiado or would they stand by and enjoy the (if you want, call it small) ethnic violence they overlooked oversaw in Kayole? How is it that the police did not arrest any of the people that took part in the mob justice and looting and instead only arrested those alleged to have been involved in the killing of the alleged chicken thief/ garbage collector? Finally, why didn’t the police arrest Hon. 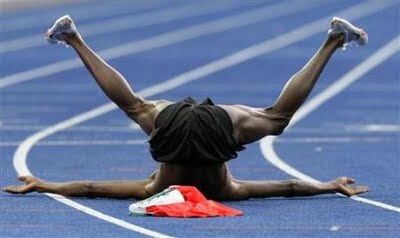 Waititu? But if you think Waititu is the problem, then think again. Go back to the clip and watch the kids taking part in the looting and mob justice. Look at the ones looting charcoal. Think for a minute. Why would kids loot charcoal? Where does charcoal rank in a child’s order of thinking? To me – no where. The way I see it, someone sent those kids to steal. Someone who would benefit from the charcoal. Someone like a parent. Back to the clip again to time stamp 0.04. Watch as a young girl in school uniform viciously hurls a rock at a Maasai man, proud to be taking part in what she probably thinks is “adult-like” behavior. Where did this girl learn to mob people? Who is her mother? Who is her father? Who is her neighbor? Did any one of the adults in the crowd report her to her parents? See, Waititu isn’t the problem. He’s an aging man. Soon, he’ll be gone and forgotten, hoping of course he doesn’t end up being governor of this Maasai land called Nairobi. But the girl in school uniform, who is barely 15, is the problem. She is the problem because she is the future. She could be the future that will form a third or two-thirds of parliament. Otherwise, she will be the future voter. If at her tender age she can be so incited as to hurt a fellow human being – an adult for that matter- what does that mean for her and the rest of her peers who are yet to attain a voter’s card? Most importantly what does that say about us – her parents, her siblings, her neighbours, her teachers, the police officers who watched her, the viewers who only saw Waititu in the clip and not her? More importantly, what does this imply about the state of the country just five months to the elections? Didn’t we learn anything from the post election violence of 2007/8? Didn’t we learn anything from being incited by politicians? Didn’t we learn anything about tribalism and ethnic violence? Didn’t we learn at least one lesson that we should have taught our children by now? 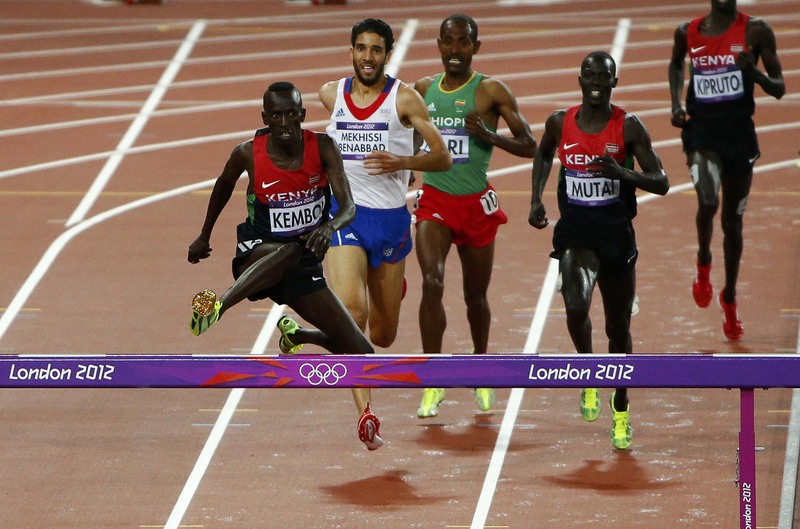 Ezekiel Kemboi won our lovely country its first gold medal in the London 2012 Olympics. 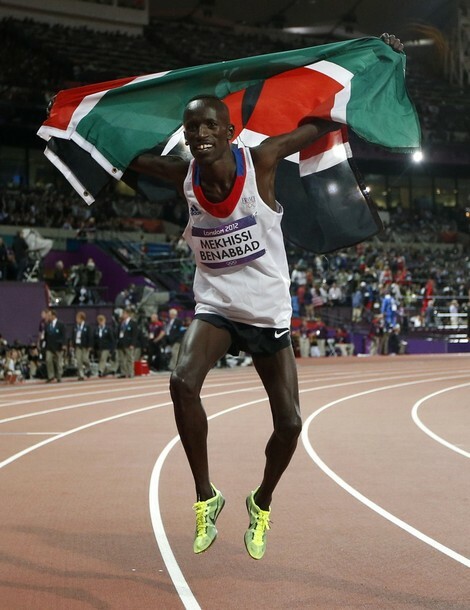 It was an ecstatic moment, not just for all Kenyans but for Kemboi himself. 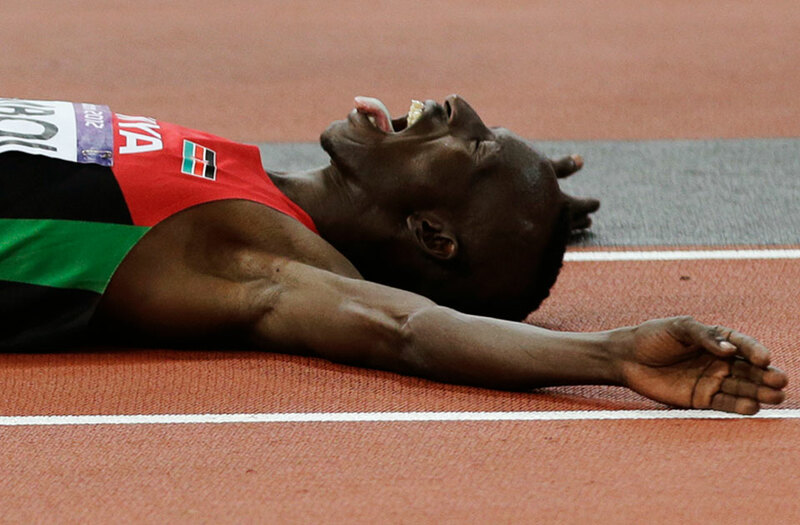 Certainly, no one foresaw the celebration that would follow Kemboi’s victory. 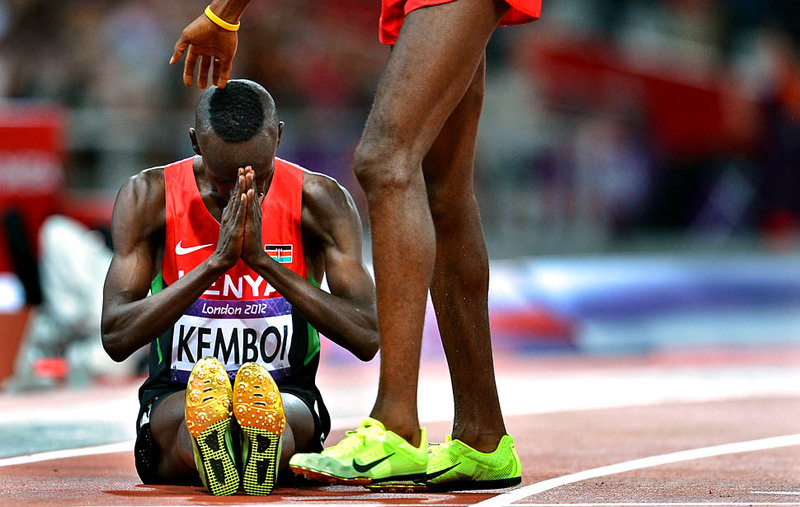 Some have called it an embarrassing show of bromance.., which can be forgiven given that Kenyans were really praying to register their first gold medal at the games. 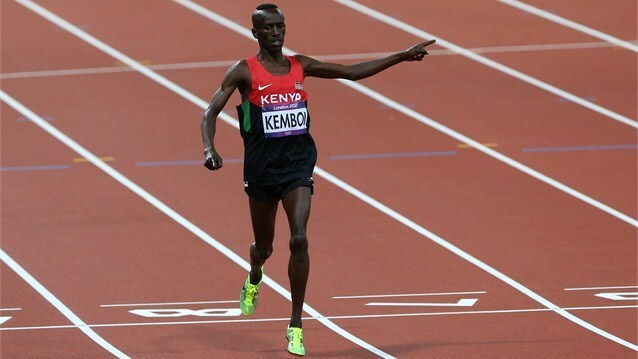 Kemboi delivered.., not just the gold, but a show as well. 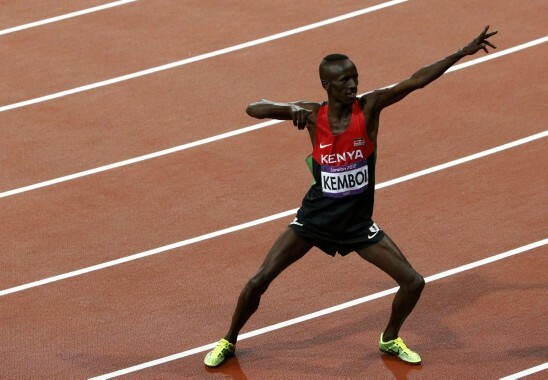 While we can’t show you how to dance like Kemboi, we can at least show you how to hug like only he can. Win.., but don’t smile just yet. Play dead.., to confuse your enemies. Suddenly jump on the French guy.., shirtless. Give the French guy your shirt and let him swing it in the air.., like you just don’t care! And that’s how to hug like a champion. You can always air out stuff.